The friend who I borrowed "Brides War" DVD from is having her birthday today. She's a violin teacher. How cool is that. And she's also a choir mate of mine (we're the Altos). 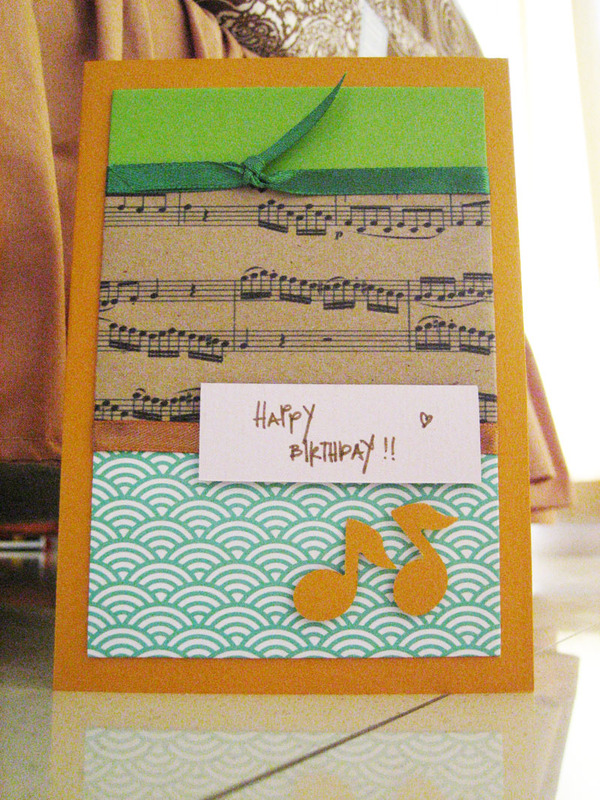 I don't have any birthday card stock that I think would be suitable for her, so I quickly made one. 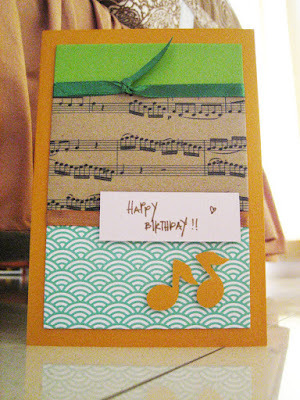 Musical theme! I hope she likes it.